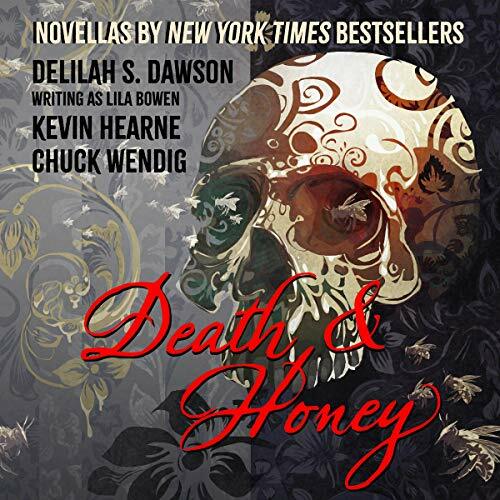 Death &amp; Honey contains three new novellas by New York Times best sellers Delilah S. Dawson, Kevin Hearne, and Chuck Wendig. In The Buzz Kill by Kevin Hearne, Oberon the Irish wolfhound, and Starbuck the Boston Terrier sink their teeth into a new Meaty Mystery when they discover a body underneath a beehive in Tasmania. It's been badly stung, but the bees aren't at fault: This is homicide. The hounds recruit the help of their Druid, Atticus O'Sullivan, and the Tasmanian police to track down the killer in the interest of a reward - but this time, they want more than food, and justice. Grist of Bees, by Delilah S. Dawson writing as Lila Bowen, follows Rhett Walker, who has given up his destiny as the monster-hunting Shadow to settle down with his beloved Sam. But when the call to action grows too strong, Rhett saddles up to follow a peculiar bee into the unforgiving desert. The bee leads him to a weeping mother in a strangely prosperous valley, and Rhett has no choice but to hunt the creature that's stolen her child - even if it destroys a land of milk and honey. 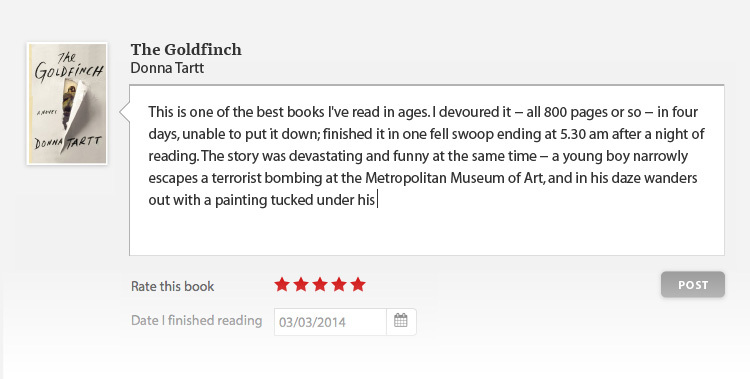 Interlude: Tanager by Chuck Wendig returns us to the world of Miriam Black. Lauren "Wren" Martin is a young psychic woman who can see the stained souls of killers; it is her gift, or as she sees it, her curse. And up until now, it has been her mission to kill those killers, to remove them from the pattern so that they may not murder again. But now, after a death that may not have been deserved, she's left rudderless, without plan or purpose, until a woman with a strange power of her own takes her in and gives her a new mission - and a new target.